This is my first attempt at posting a FOTD aka Face of the Day. 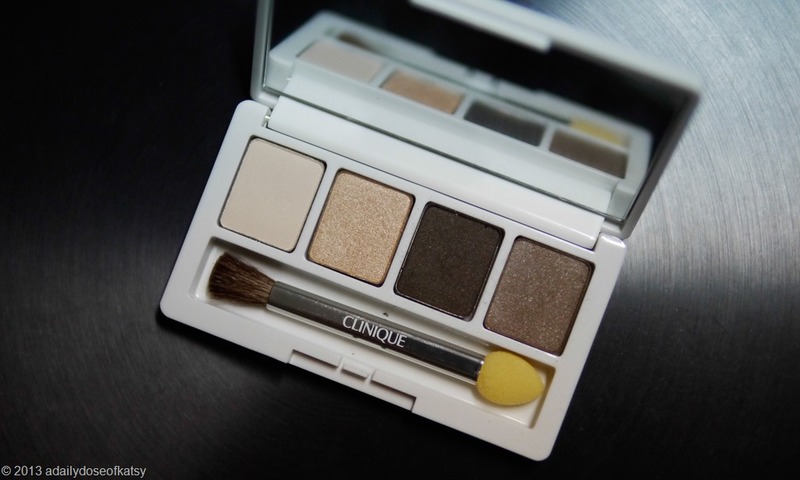 Since I couldn’t get Bobbi Brown’s sparkle eyeshadow in Cement that I was able to try last weekend and couldn’t get out of my mind, I tried using this Clinique GWP palette that I had lying around. (I have plenty lying around as my Aunts are really generous in supporting me. Thank you so much to them!) I wanted to create a “Day Smokey Eye Look” and this is the outcome. I also tried some contouring techniques that I learned from Shu Uemura’s workshop also last weekend. Yup, I went to like 3 short workshops last weekend before the Avon x Laura Andersen one – Clinique, Shu Uemura, Bobbi Brown. I’ll try to run through those workshops/makeovers in other posts.